May I extend a very warm welcome to all members and visitors to our website. 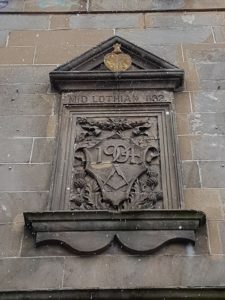 Lodge Heart of Midlothian No 832 was chartered by the Grand Lodge of Scotland on 6th August 1896 and during that time we are proud to have been part of community life in the Gorgie/Dalry area of Edinburgh. For more than 100 years we held our meetings in our Lodge rooms at 27 Murieston Crescent. However we have recently moved to 5 Roseburn Gardens, the premises of the Caledonian Lodge No 392, where, as well as our landlords, we share our new home with several other Masonic Lodges and are delighted to maintain our historic links with the area. May I take this opportunity to extend a cordial and fraternal invitation to all brethren, who may wish to visit us. Let me assure you, a very warm welcome awaits you. Please visit our meetings page where you will find details of our meeting dates and times. To all visitors, I hope you enjoy your time in the company of Lodge Heart of Midlothian No 832 and you find the content both informative and interesting.